SpineCraft develops and manufactures spine surgery implants & instruments systems that provide comprehensive spine care solutions to improve and enhance the quality of life for patients with back pain, neck pain, degenerative disc conditions, spine deformities and injuries due to trauma. We are looking for an experienced Principal Clinical Software Engineer to join our growing R&D team. Responsible for the architecture, design, development and sustaining efforts of PLM-integrated Image-to-Implant software technology platform. Design, program, and verify software components for Image-to-Implant software technology platform including data acquisition, image acquisition, image format conversion, image processing, image analysis, feature extraction, image editing and display/recording of images. Direct the whole software development lifecycle including capturing user/clinical requirements, design, implementation and verification of software and support/maintenance. Keep abreast of relevant and new technologies in software development in general, and the medical imaging field in particular. 10 years of experience in C/ C++ programming. 10 years of experience in software requirements analysis and risk management processes. 10 years of experience in Object-oriented Analysis / Design and Programming methodologies. 5 years of experience in Medical Image Analysis and building software solutions implementing image analysis algorithms with strong command of 2D/3D mathematics and algorithms. 3 years of experience in Convolution (using DFT), filtering, histogram equalization, sonogram computation, filtered backprojection (FBP), Image segmentation (Thresholding, K-means Clustering, Region Growing, Splitting/Merging), Edge enhancement, Hough Transform, Edge-linking and pattern recognition techniques. 3 years of experience using Python/Perl/Tcl/Ruby and open CL/CUDA. 2 years of experience in Workflow design, DICOM & 2D/3D medical image processing, and related software implementation techniques for PACS. SpineCraft offers a generous compensation and benefits package that includes comprehensive medical, dental, and vision insurance benefits plus a 401K retirement plan. We are looking for an experienced Senior Design Transfer Engineer - Medical Devices to join our growing R&D team. Responsible for design transfers for manufacturing. Work closely with international and domestic contract manufacturing vendors on transfer plans, validations, Gage R&R, collaborative problem solving, etc. Determine manufacturing processes required to accurately and efficiently manufacture spinal implants & instruments, from raw material to final cleaning and shipment. Coordinate cross-functional teams to execute and document the manufacturing launch of new/existing products. Develop and complete manufacturing documentation (pFMEA, control plan, process flow, work instructions, and inspection plans). Support contact-manufactured products on quotation, costing, design for manufacture, compliance, and quality. Interact closely with the Product Development, QA, Regulatory, and Supply Chain/Operations. Participate in design for manufacturing meetings to ensure robust and cost-effective designs. Responsible for dispositioning NCRs, including interacting with vendors to resolve rework and manufacturing issues. Review and approve engineering change orders. Defines, and approves process validation activities including validation plans, operational and performance qualifications. Assists in investigation and resolution of internal and supplier corrective actions. Perform product/process analysis and troubleshooting for cost reduction, quality improvement, and improved efficiency. Applies statistical tools for quality analysis and/or metrics. Participates in the development of project schedules. Demonstrates effective skills with ability to multi-task various project activities. 4 years' experience in a manufacturing environment in the medical device industry. 4 years’ experience with 21CFR820, ISO 13485, cGMP, CAPA, FMEA, Design Controls, Validation and Verification, Gage R&R, IQ, OQ, PQ and Six Sigma tools. 4 years’ experience with a) Geometric Dimensioning & Tolerancing (GD&T) and SolidWorks CAD; and b) FDA QSR, MDD (MDR) and ISO-13485 principles. 3 years’ experience in performing Risk Analysis, DFMEA & PFMEA for Class II & III medical devices. Strong knowledge of US & International Medical Device Regulations. SpineCraft develops and manufactures spine surgery implants & instruments systems that provide comprehensive spine care solutions to improve and enhance quality of life for patients with back pain, neck pain, degenerative disc conditions, spine deformities and injuries due to trauma. We are looking for experienced senior/lead product development engineer to join our growing R&D team. Lead a cross-functional project team (including both internal and external team members such as spine surgeons) of several new development projects. Direct participation in implants & instruments concept generation and design. Maintain and improve existing products and processes. Provide hands-on design, engineering, and analysis direction to other R&D engineers. Participate in establishing company and product strategy. Apply sound engineering problem-solving techniques to product development and maintenance tasks including design, analysis, material selection, and inspection requirements and manufacturing process requirements. Provide engineering support to customer service, sales, marketing, regulatory and quality. Assure timely and effective project completion according to the project plan and budget. Review engineering designs for feasibility and accuracy. Approve engineering drawings and specifications. Complete and approve all Design History File documentation for assigned projects as required. Identify, analyze and recommend new technologies or materials for specific product applications. Participate in patent application preparation, patent review and patent analysis. Establish, develop and maintain strong working relationships with all necessary personnel to ensure smooth product design, development and commercialization. Establish appropriate project plan (i.e. define tasks, dependencies, schedule and resource requirements). Assist in the resolution of manufacturing- or quality-related issues. Know and apply elements of the Quality System and medical device-related Federal and International standards. Should have comprehensive experience in all phases of spine instrumentation products development. Must have practical working knowledge of anatomy and physiology, especially as related to the spine, spine biomechanics, spine disorders, fundamentals of spine fusion and non-fusion surgery, mechanical test and measurement techniques and methods, manufacturing & inspection methods and processes, FDA and ISO requirements, project management, orthopedic implants and the materials used in orthopedic implants and instruments. Must have excellent communication (verbal & written) and organizational skills. Must have demonstrated ability to work effectively in a team environment. Must be creative and have the ability to independently apply theoretical technical principles to product design. Must have the ability to apply parametric solid modeling and drafting conventions to design projects. Must have commanding knowledge of various software packages including Microsoft Office applications, CAD applications (SolidWorks a definite plus) and Engineering Simulation applications (ANSYS or similar). Must have the ability to prioritize and manage several projects simultaneously. M.S. Mechanical or Biomedical Engineering and at least 7 years’ experience including minimum 5 years' spine instrumentation development experience. We are looking for experienced product development engineer to join our growing R&D team. Under limited guidance, will perform highly complex engineering duties associated with the design and development of spine implant and instrument systems. Responsible for different research & development activities that could involve multiple interfaces internal and external to the company. Interface with surgeons to develop user requirements and evaluate designs. Review and approve both implant and instrument designs and drawings. Control and implementation of Product Development process, including Project Planning, FMEAs, Design Reviews, DHF creation & maintenance, etc. Research, analyze and create intellectual property. Interface with various vendors to manufacture prototypes and finished devices. Must have proven comprehensive experience in spine instrumentation product development. Should have working understanding of FDA QSR, MDD and ISO-13485 principles. Should be a self-motivated individual that is able to work with limited supervision. Ability to conduct theoretical analysis and develop mechanical test protocols of different spine implant types. Commanding knowledge of 3D CAD systems (SolidWorks preferred). Working knowledge of manufacturing processes and capabilities. M.S. Mechanical Engineering and at least 5 years’ experience including minimum 3 years' spine instrumentation development experience. We are looking for an entry-level product development engineer to join our growing R&D team. Under limited guidance, will perform complex engineering duties associated with the development of implant and instrument systems, including finite element analysis, tolerance analysis, verification & validation testing, etc. Adhere to company procedures and work within the guidelines of the Quality Policy, Quality Directives, ISO 13485 Standard, FDA 21 CFR PART 820 Requirements, and other applicable Regulatory Requirements. Participate in research & development programs that could involve multiple interfaces internal and external to the company. Use SolidWorks 3D CAD system to create, without supervision, 3D solid models and detailed production drawings for implants, instruments and gauges, and process the associated ECOs and DMRs. Participate in Design Control process for a given program to include Project Planning, Risk Analysis, FMEAs, Design Reviews, DHF creation, etc. Assist with evaluating and monitoring surgeons’ feedback. Assist in identifying and interfacing with various vendors to manufacture prototypes and finished devices. MS in Mechanical OR Biomedical Engineering + 6 months of experience working on or with: Design and development of Class I and Class II medical devices, including authoring and maintaining DHF, and developing & carrying out mechanical testing protocols implantable devices according to ASTM standards; Generating detailed engineering drawings using GD&T; Risk Management File (Risk Analysis, DFMEA, PFMEA) for Class II medical devices; 3D printing technologies for rapid prototyping and production of Class I & II medical devices. 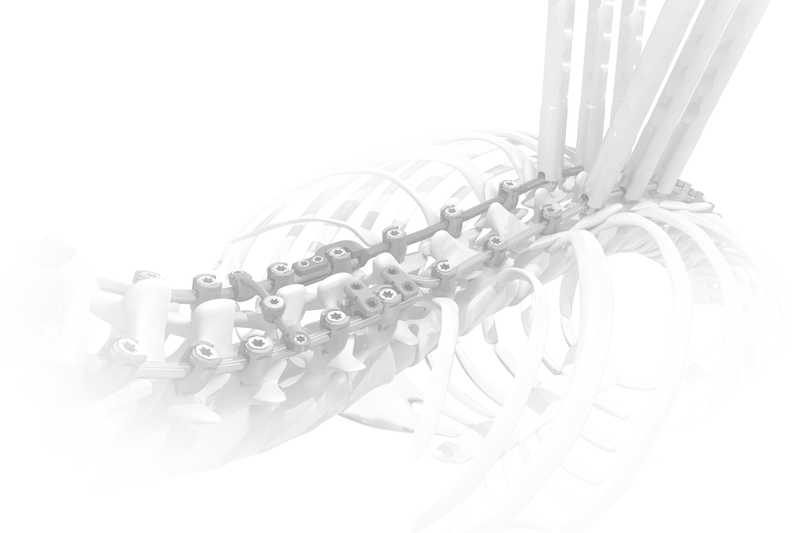 Understanding and knowledge of: Spine anatomy, spine biomechanics, spine disorders and fundamentals of spine fusion and non-fusion surgery; FDA QSR, MDD and ISO-13485 principles; Advance knowledge of SolidWorks 3D CAD system. Certificate: Six Sigma Green Belt Certificate.